Makes restocking garments fast and easy! Heavy-duty, high-capacity Rolling Z-Rack is ideal for moving garments, restocking, special sales or as a movable coat rack. Black Z Rack nest tightly to save space when not in use. The Professional Z rack includes heavy duty black base and 2 locking and 2 non-locking casters. 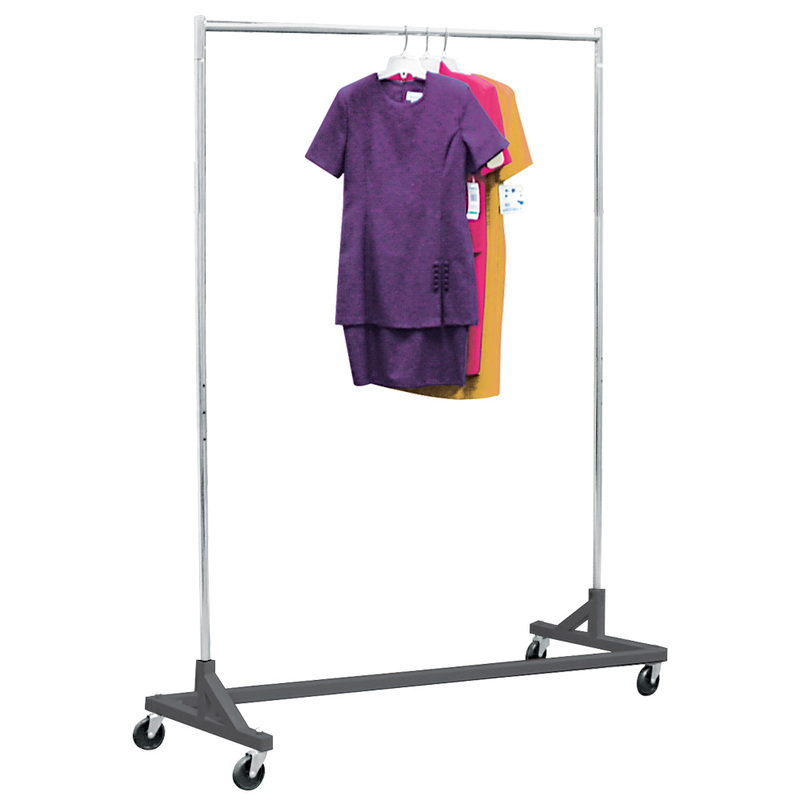 Functions as a rolling clothing rack or as a stationary store fixture. Black heavy-duty base with chrome rails. Weight capacity is 330 pounds. Check out our YouTube video for the Rolling Z Rack Clothing Rack. Optional Accessories: Extra Hangrail with clamps, item 2546. For more offerings, we ask you to take a moment to go through our entire assortment of retail clothing racks for sale at Specialty Store Services now.